The Embassy of the Republic of Indonesia in Beijing and Hotel Conrad has promoted Balinese cuisine to the guests staying at one of the five star hotels in the capital city of China from July 6 to 16, 2017. "This is the second event this year," Indonesian Ambassador to China, Soegeng Rahardjo, stated in a press statement received by Antara here on Friday. To support the event titled A Taste of Indonesia, Conrad Beijing presented three chefs from Bali, namely I Made Semawan, Agus Feritude, and Agus Surya. They serve Balinese dishes of chicken, pork, fried rice, and satay, which tasted exactly the same as the ones found in the island. "With the growing recognition of Indonesias tradition, culinary taste, and beauty, it is expected that the number of foreign tourists visiting Indonesia will continue to increase," the ambassador stated. The Embassy will continue to hold such culinary promotional events by involving several star hotels. Earlier, a similar event was also held by the Embassy in cooperation with Westin Beijing in mid-March. This year, the Ministry of Tourism expects 2.5 million tourists from China. In previous year, tourists from mainland China visiting Indonesia reached 1.5 million people. They still see Bali as a major tourist destination in the country. 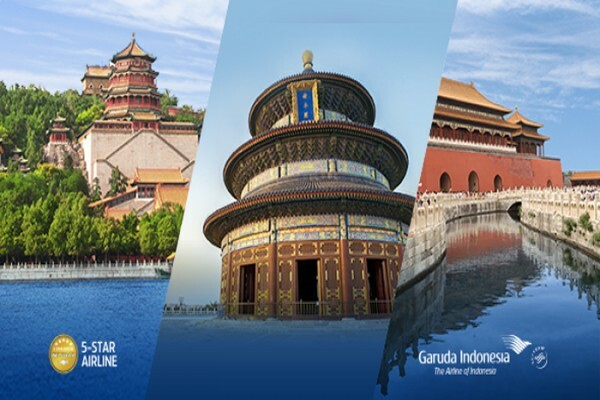 Garuda Indonesia has provided direct flights to Denpasar from Beijing, Shanghai, Guangzhou, and Chengdu. Several Chinese airlines also provide direct flights to Denpasar.